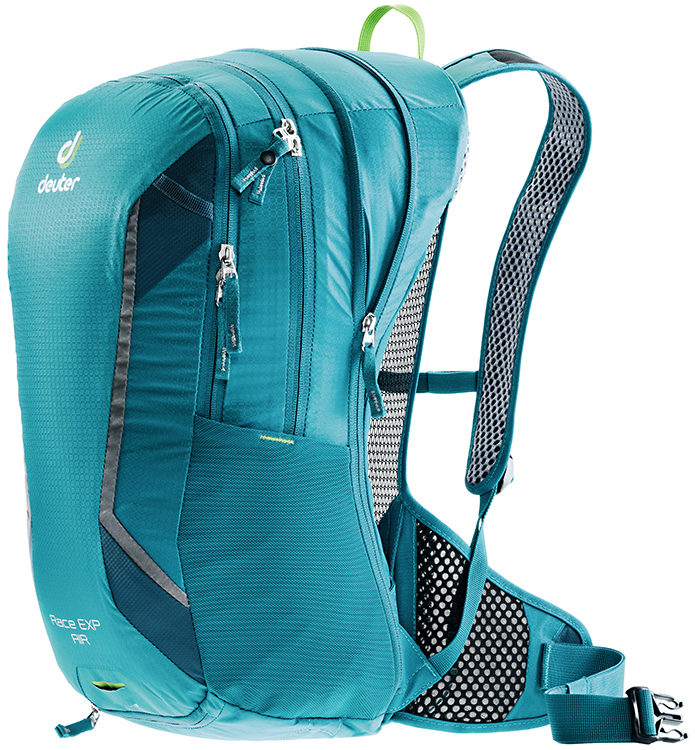 The Race EXP Air bike pack is sleek, small, and comfortably padded. Featuring the AirComfort backsystem with a flexible frame, it's extremely low weight providing both an extra-secure fit and three-sided ventilation. Load adjuster straps enable precise backpack positioning. Anatomically shaped shoulder straps with airy, comfortfable Soft AirMesh lining. Anatomically shaped, sturdy hip fins with Pull-Forward adjustment and close set anchor points give a snug fit and spread the load to the hips (Futura 24 SL - 35 EL).